Ellen Winner, JD, CSC,® is a Shamanic Practitioner with 30 years&apos; experience in classic shamanic healing techniques including extraction, soul retrieval, power animal retrieval, depossession, divination and death and dying. She has been a Harner Method Certified Shamanic Counselor® (CSC®) for more than ten years. (Shamanic counselors tutor clients one on one in journeying in altered states of consciousness to access their own spiritual guidance for providing compassionate, ethical, harmonious and practical solutions to meet life’s challenges.) Click here to find out more. Her education in spiritual healing includes extensive training with the Foundation for Shamanic Studies; graduation from the Foundation’s Three-Year Program; and qualification, with completion of case studies, as a Certified Shamanic Counselor®. As a Faculty Member of The Foundation for Shamanic Studies, she teaches training workshops in core shamanism. She also hosts a Drum Circle in Boulder, Colorado for practicing and experimenting with shamanic healing techniques. She has developed and presented a weekend workshop in "Shamanism and the Path to Enlightenment” (not a Foundation for Shamanic Studies workshop), and is currently hosting a group for practicing “skillful means” to Enlightenment. She is also an accredited and experienced Journey Practitioner. * During her training with The Journey, NA, she completed casework requirements and received accreditation as a Journey Practitioner. For more information about Journey sessions with Ellen Winner, click here. She continues to study shamanism, and has trained with shamanic teachers including Michael Harner, Sandra Ingerman, Claude and Noelle Poncelet, Tom Cowan, Bradford Keeney, Betsy Bergstrom, and others in the U.S.
She also apprenticed in Nepal with Himalayan shamans, Maile Lama, and Rai shamans, Jebi Bhandari and Mohan Rai. Her writings in the field of shamanism include two books, "World Shaman" (the story of Mohan Rai&apos;s shamanic education in Bhutan), 2003, and "Thoughts in the Mind of God" (an autobiographical account of shamanic initiations in Nepal), 2004, and numerous articles in Shaman’s Drum, Contemporary Shamanism and other publications. She is currently working on a new book relating to shamanism and enlightenment. She organized and presented at the First Annual Cross-Cultural Shamanic Conference in Boulder, Colorado April 6 - 7, 2013, and presented at the Second Annual Cross-Cultural Conference June 13 - 15, 2014 in Boulder. 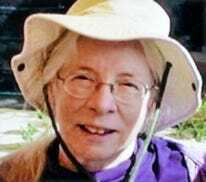 Having spent most of her working life as a patent attorney specializing in chemistry, biotechnology, and medical devices, Ellen brings a thorough grounding in science to her healing work. Winner, Ellen, Thoughts in the Mind of God: Himalayan Shamanism and an American Woman&apos;s Search for Enlightenment, an autobiographical account of Ellen&apos;s shamanic initiations in Nepal, 2004. Available in Kindle and Paperback. Winner, Ellen, World Shaman: Encountering Ancient Himalayan Spirits in Our Time, the story of Mohan Rai&apos;s shamanic education with his famous father, Shaman Dil Bahadur Rai, in Bhutan, 2013. Available in Kindle and Paperback. * “The Journey" is an internationally acclaimed method of emotional and physical healing developed by Brandon Bays for taking you directly into an experience of your basic grounding in Source, the vast, boundless presence of love at the core of your being. See Bays, Brandon, The Journey: A Practical Guide to Healing your Life and Setting Yourself Free, Atria Books, 2012 and www.thejourney.com.